We craft innovative digital marketing campaigns. 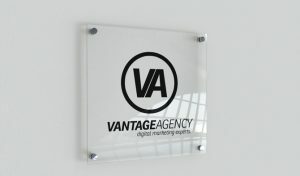 We’re a full service digital agency based in Leeds & Harrogate, North Yorkshire. We specialise in digital web campaigns, SMM (Social Media Marketing), SEO (Search Engine Optimisation) and E-Commerce. Paying is the easy part, getting conversions is the hard part. Our digital agency displays your ads in the Google Display Ad Networks to the right customers. We offer completely transparent, highly optimised Pay Per Click (PPC) Campaigns tailored around your business. Our digital agency in Leeds offers complete Social Media Marketing campaign management across all channels from Facebook to Instagram. We create brand awareness to increase lead generation and sales, we offer tailor-made social marketing plans to suit your business's needs. Increase your website's visibility and sales, build sustainable traffic and lead generation with a strong SEO (Search Engine Optimisation) campaign. From Local SEO to Organic SEO we offer a range of SEO services at our digital agency to help build your rank on Google, Yahoo and Bing. Google Shopping is a powerful tools which can drive sales on your store by sending focussed user traffic. Our clients are seeing a big increase in sales thanks to Google Shopping. At our digital agency in Leeds we create highly optimised Google Shopping campaigns which boost your revenue without squandering your budget. Got a project? We'd love to discuss it further with you. SEO, Pay Per Click, Social Media Marketing or E-commerce today.